As an avid collector of vintage motor scooters, I have always loved the Lambretta. Beautiful Italian styling, the ride, and technology sets it apart from everything else. The service entrance with some Series 2 Li's and a TV175. 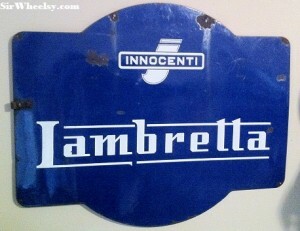 Lambrettas were manufactured in Milan, Italy, by Innocenti and other worldwide licensees starting in 1947. 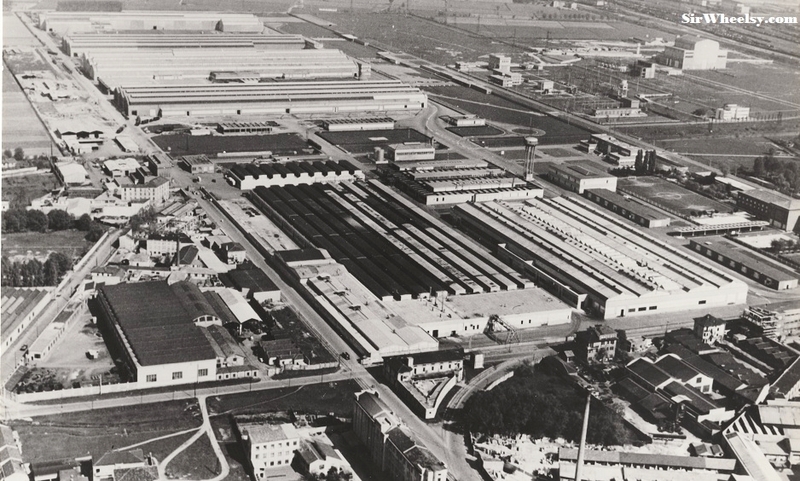 Production continued in Spain and India long after Innocenti closed. 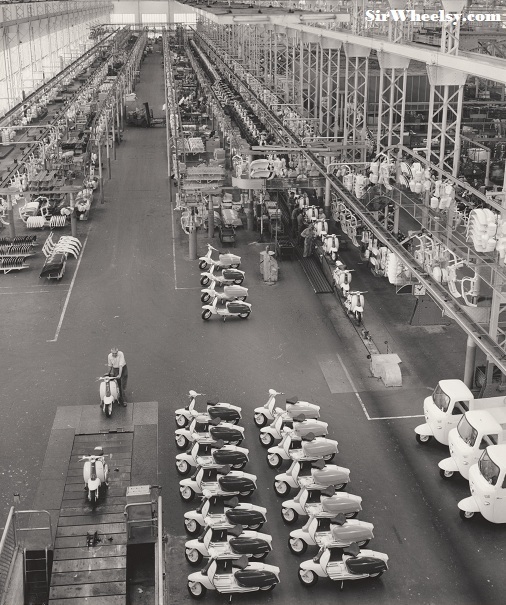 The Lambretta was a constant rival to Piaggio’s Vespa throughout the 1960′s and the Golden Age of the Italian motor scooter. 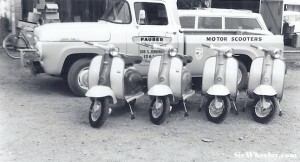 Sales of scooters started sliding during the late 1960′s and Innocenti ceased production in 1972. The Italian Lambrettas are the most coveted and sought after by collecters around the globe. 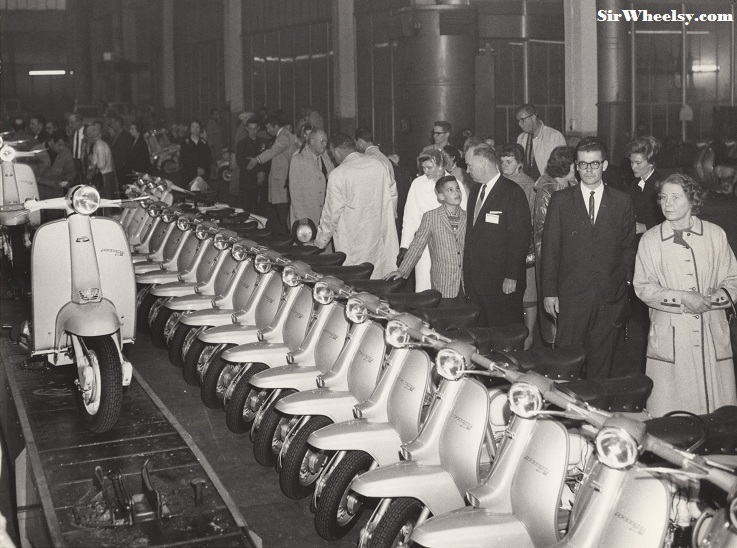 For a complete history of the Lambretta, check out Vittorio Tessera’s book, Innocenti Lambretta: The Definitive History. 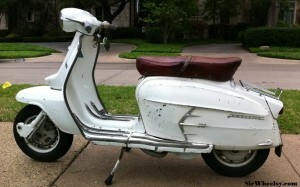 A 1966 Lambretta Special X200. 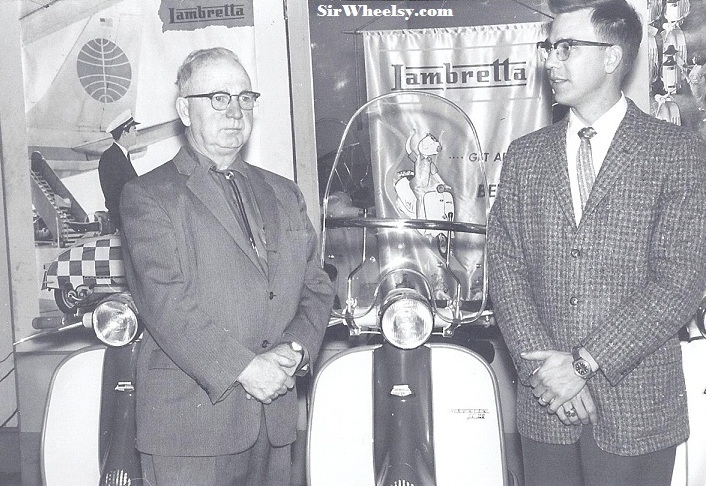 Last year, through the Lambretta Club USA, I came in contact with the family that owned the local Fort Worth and Arlington, Texas dealerships in the late 1950′s and 1960′s. 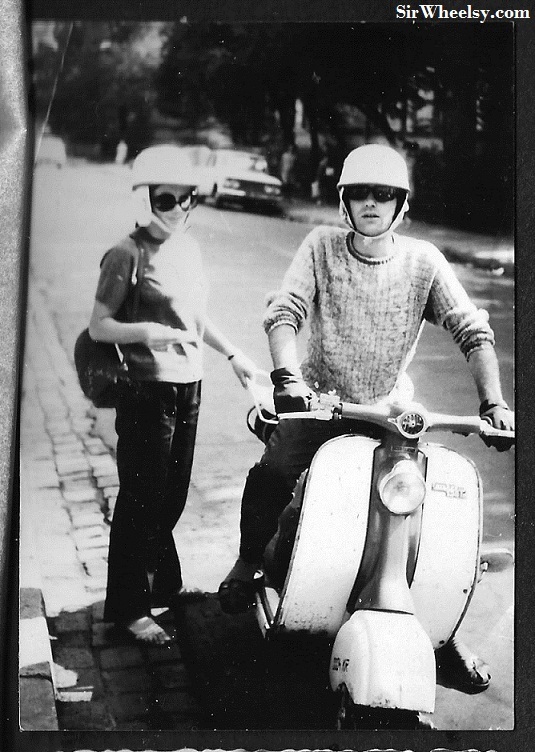 Their family photo album is an absolute treasure of Lambretta photos from that period. More posts will be coming with their photos, but I thought a few they received after a trip to Italy would be a great start. 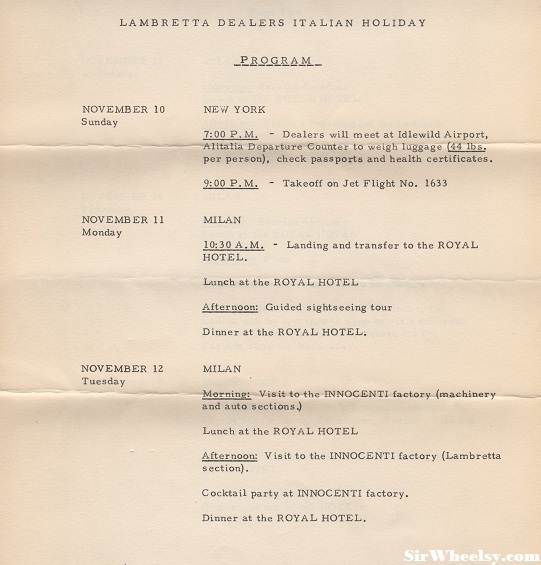 In November 1963, US dealers were invited to the Innocenti factory for an Italian Holiday. The owners in the Lambretta corner of the Ducati, Norton, & Cushman Dealership. 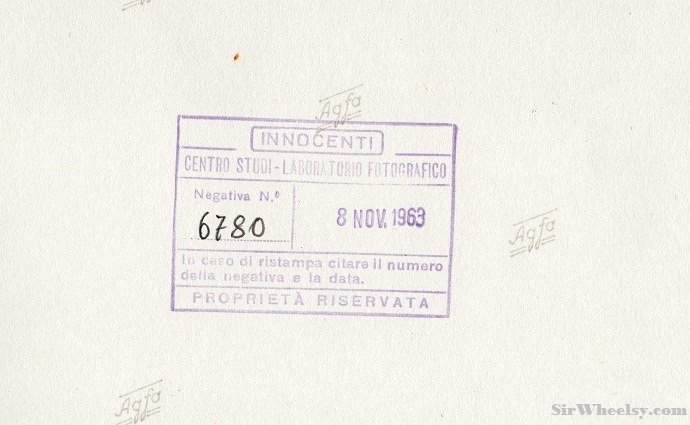 The back of the original Innocenti factory photo. 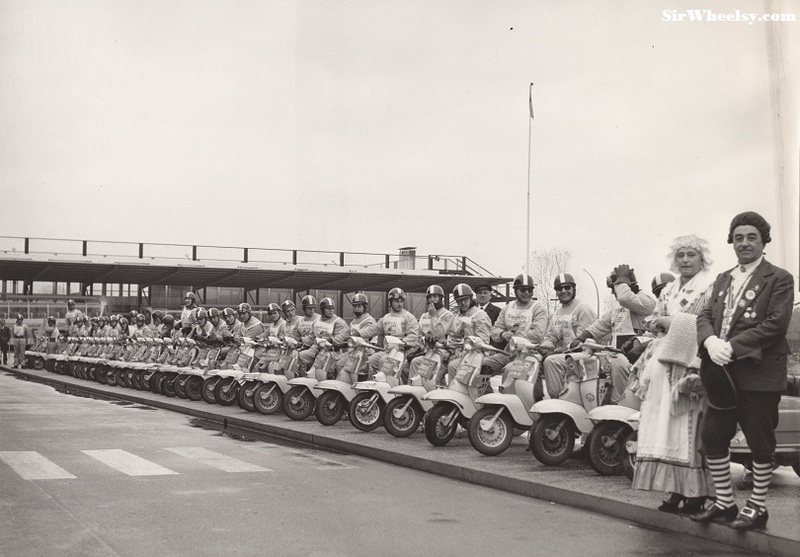 The Lambretta Club of Milan. A row of Li150 Specials on the right with an Li125 on the left. Thanks for dropping by and please “like” the Sir Wheelsy Facebook Page if you enjoyed the photos. More Lambretta pictures will be coming soon. A recent shot of a few local Lambrettas. Picture courtesy of Anthony Armstrong. A fan of the Sir Wheelsy blog sent us a picture to share. Adrian is a motorbiker with Lambrettas in his blood from the Podgorze district of Krakow, Poland. Here is a picture of his parents in 1974 on Strzelecka Street. 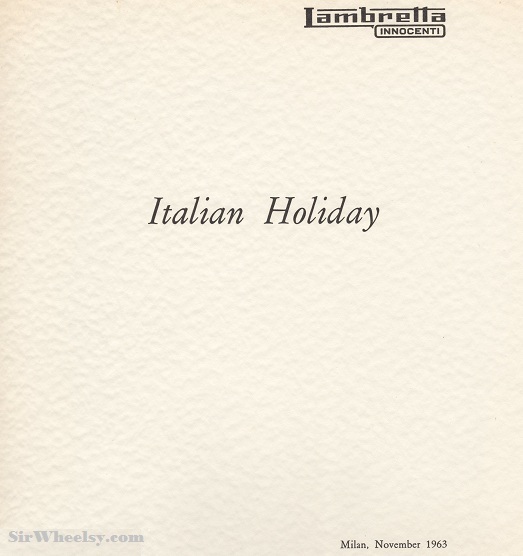 The Lambretta is a late 1950′s LD 150. Thanks, Adrian! This entry was posted in Uncategorized and tagged innocenti, lambretta by GranT urismo. Bookmark the permalink. 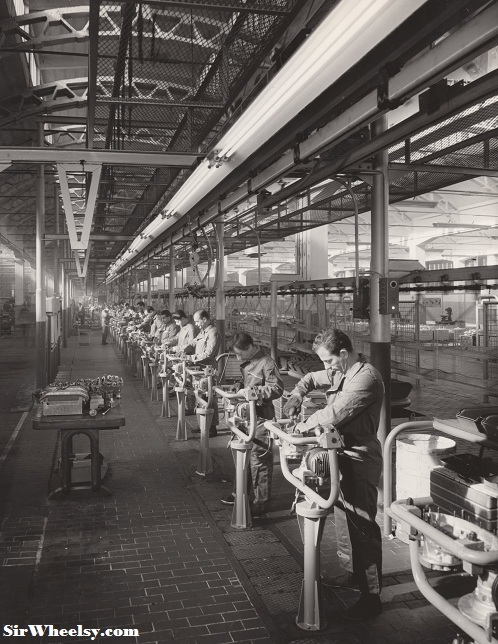 great site, keep the old Lambretta photo’s coming………………. I currently own a 42 year old GP200. Before that I owned a 1964 TV175 & a 1966 SX150. Now those are some nice Lambretta’s. Send us some pictures and we’ll post them up!